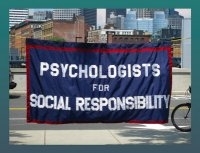 On March 28th, Saybrook’s Dr. Pilisuk will participate in the invitation-only event OccuPsy: Mobilizing Critical Psychoanalysis for the Movement. This gathering brings together people who think psychologically, psychoanalytically, and critically to brainstorm and dialogue about what might be helpful in strengthening the movement, especially with regard to helping it grow and become more effective. Considering the important transformations occurring in contemporary society and subjectivity, what can clinicians and psychoanalysts offer by way of interpretation and listening to the movement? Clinicians and psychoanalysts are witness to how subjectivity articulates itself vis-à-vis the larger social forces of hypermodernity. How can that experience be of service to a radical politics? What aspects of practice align with the current resurgence in radical activism? And how can those aspects be used to further the aims of the Occupy movement? What problematic unconscious group processes (e.g., forms of resistance) seem to be occurring in the movement? How could these be effectively interpreted and brought to the awareness of activists?